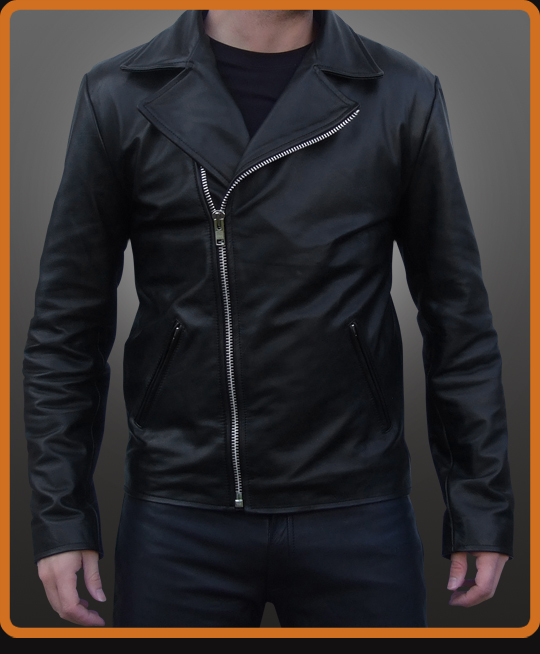 Men's leather jacket replica from Ghost Rider movie. Inspired by Johnny Blaze character portrayed by Nicholas Cage. Classic biker jacket without all the snaps and straps, closely matches the original. Wide notched collar and diagonal zip front. Two streamlined diagonal zip front pockets. Tapered sleeves zip at wrist. In this jacket, you can even go down in flames looking fine. Full grain A1 quality aniline leather. Available in Black and Antique Brown.